HDR designed this show jumping saddle for the Pan American Games winner, Cesar Almeida. With Cesar s requirements in mind, this saddle affords a more generous seat and flap dimension. 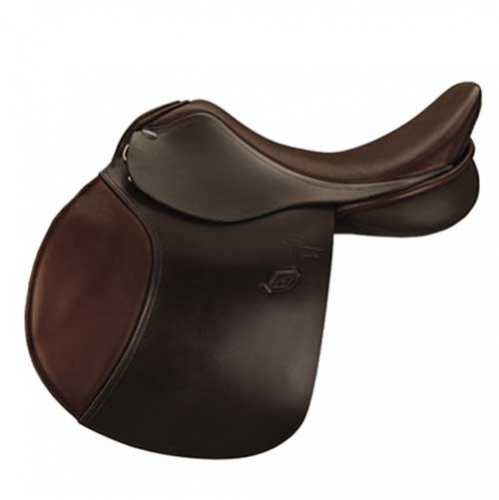 This saddle has a slightly deep seat, yet with a conservative square cantle with generously forward, and moderately padded flap Designed for show jumping, yet this saddle will attract the hunting and eventing enthusiast as well. Gusseted flocked panel.